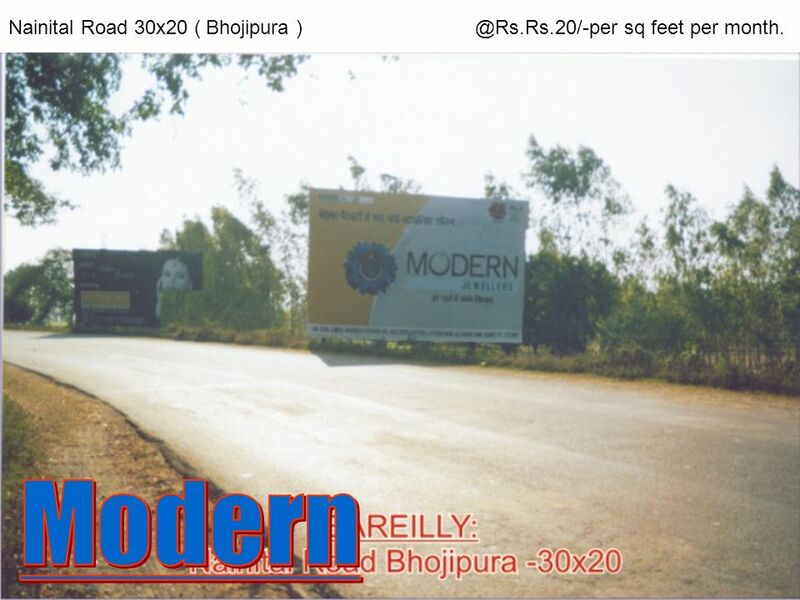 2 Selection Point Chouraha 40x20 @Rs.35/- per sq feet per month. 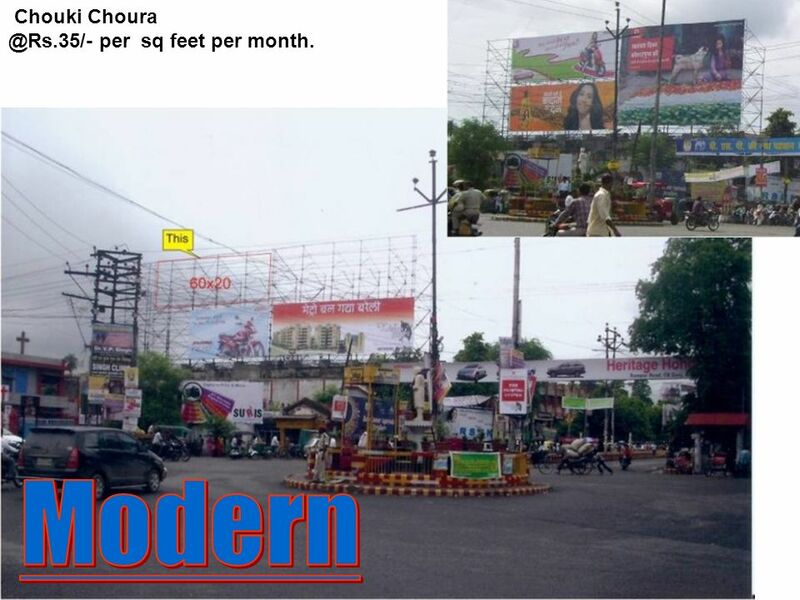 3 D D Puran Chouraha 36x24 @Rs.30/-per sq feet per month. 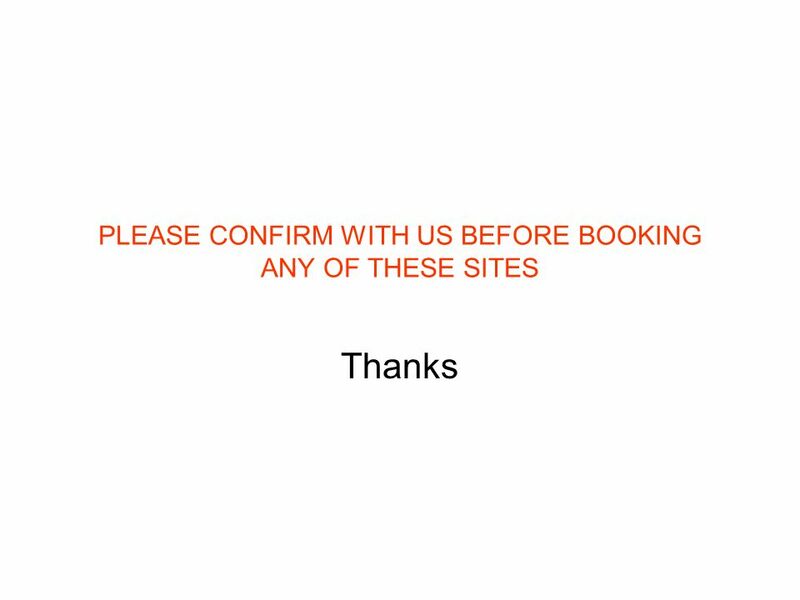 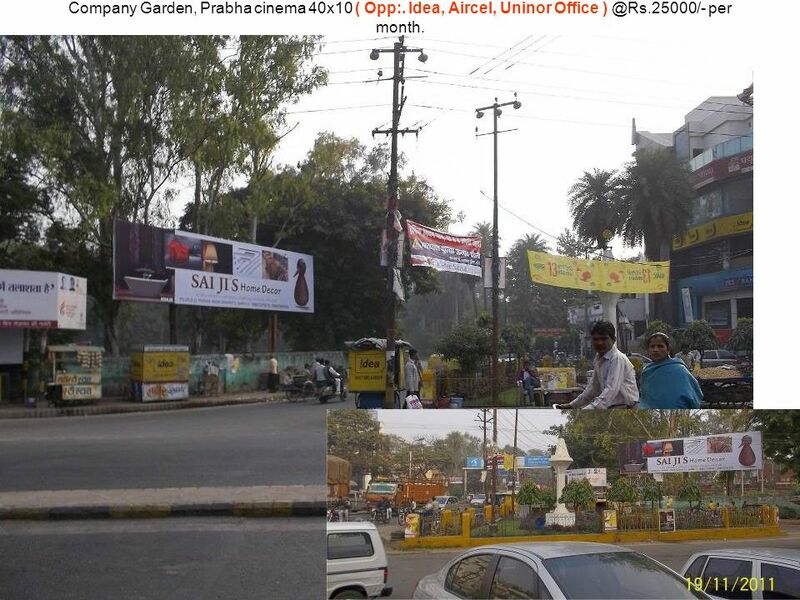 4 Company Garden, Prabha cinema 40x10 ( Opp:. 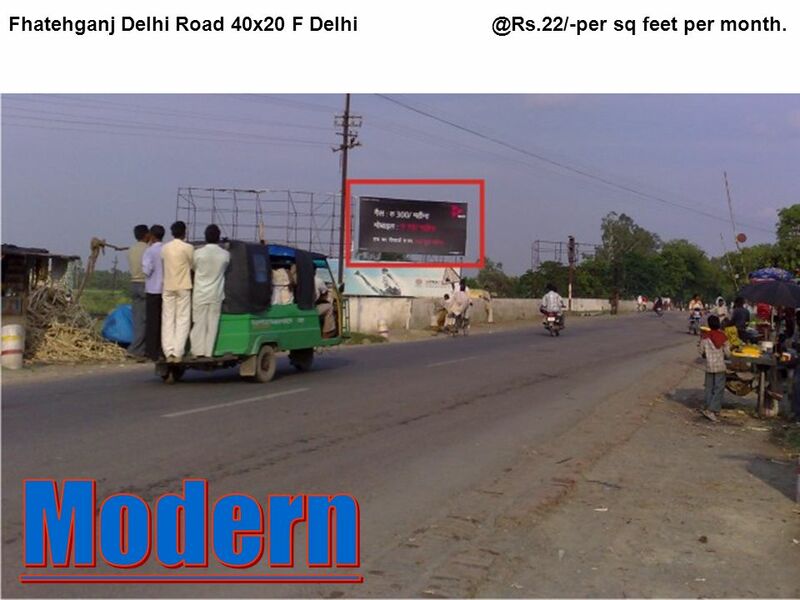 Idea, Aircel, Uninor Office ) @Rs.25000/- per month. 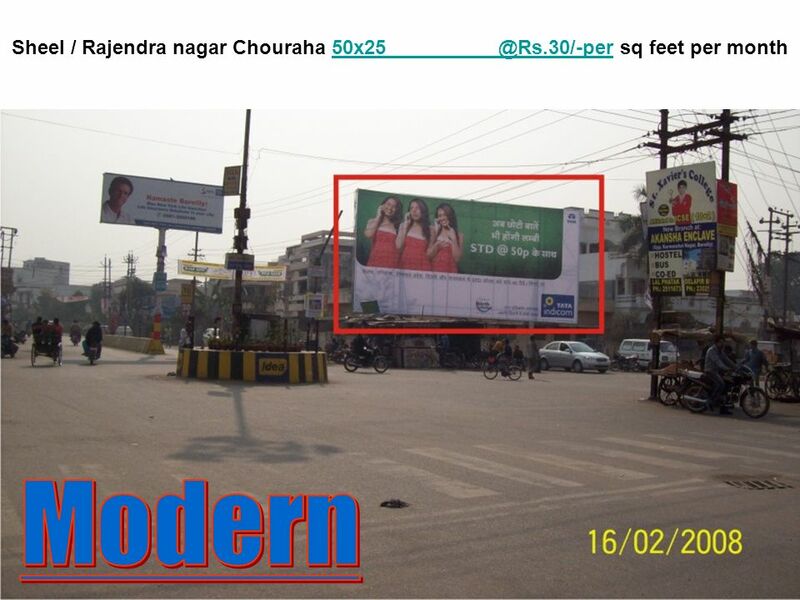 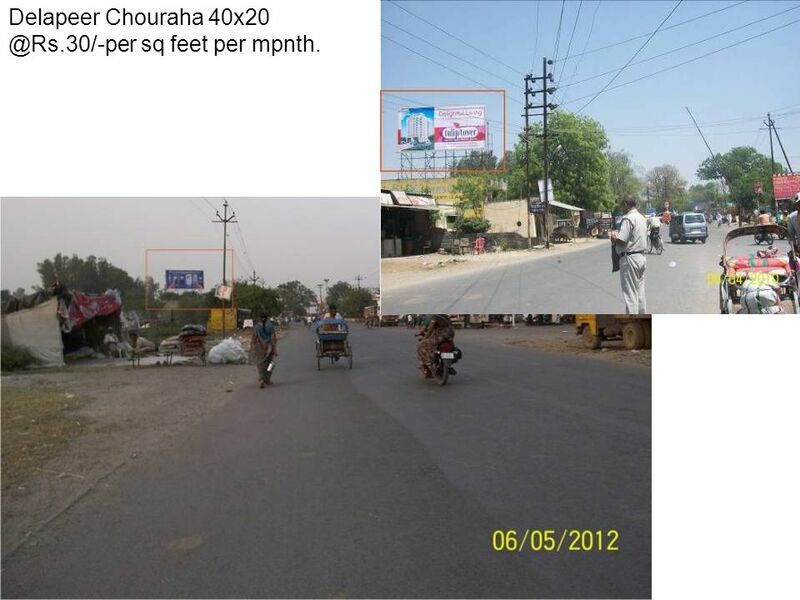 9 Delapeer Chouraha 40x20 @Rs.30/-per sq feet per mpnth. 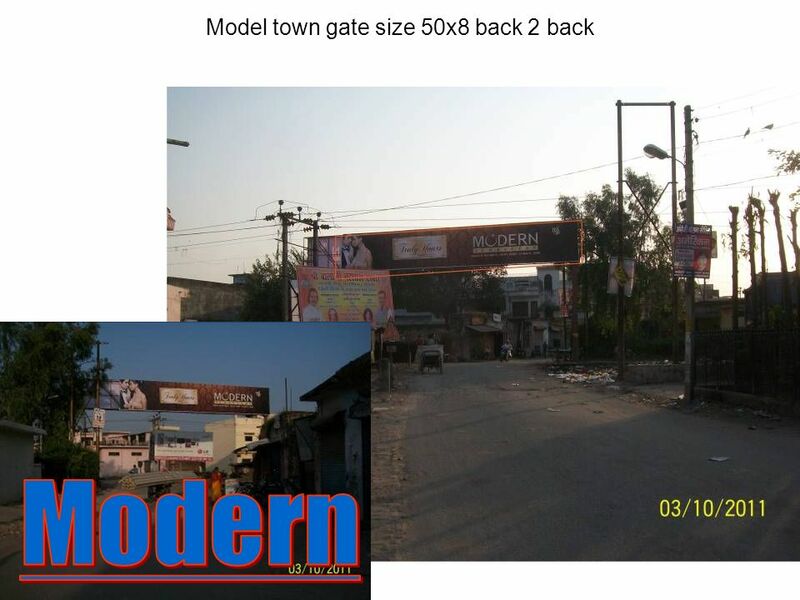 10 Model Town 25x20 @Rs.30/- per sq feet per month. 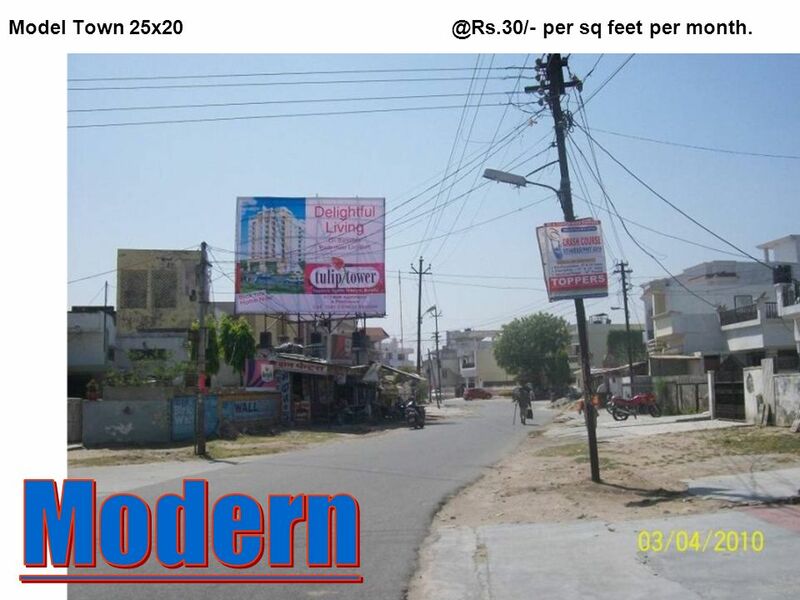 11 Model Town 20x20 @Rs.30/- per sq feet per month. 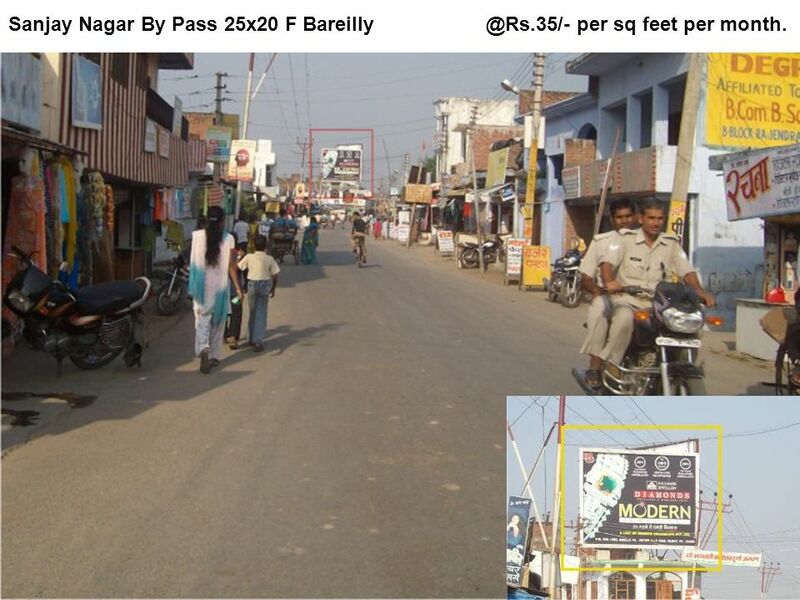 12 Sanjay Nagar By Pass 25x20 F Bareilly @Rs.35/- per sq feet per month. 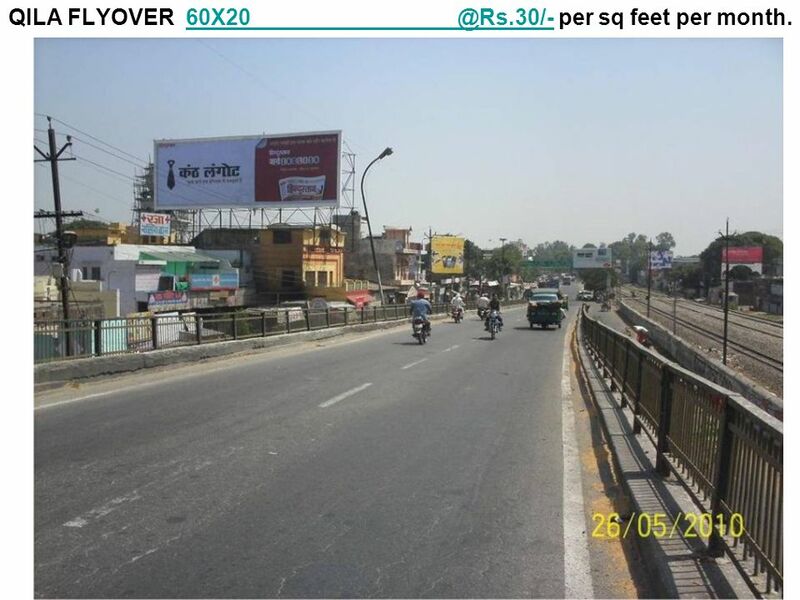 13 Sanjay Nagar By Pass 20x20 @Rs.25 per sq feet per month. 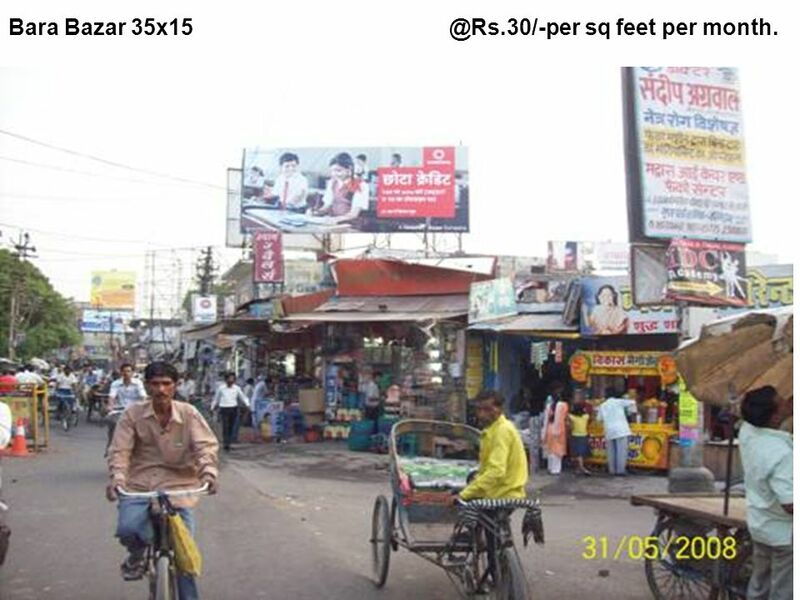 14 Bara Bazar 35x15 @Rs.30/-per sq feet per month. 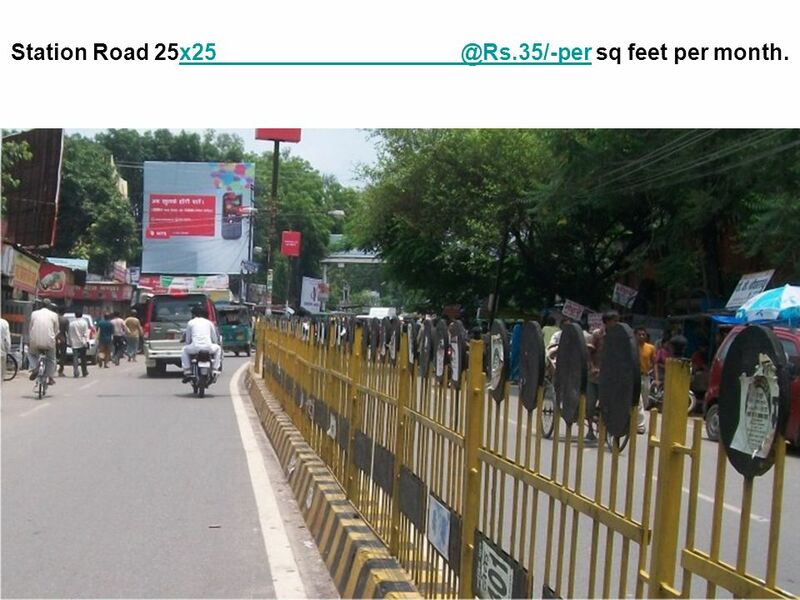 15 Bara Bazar 20x15 @Rs.25/-per sq feet per month. 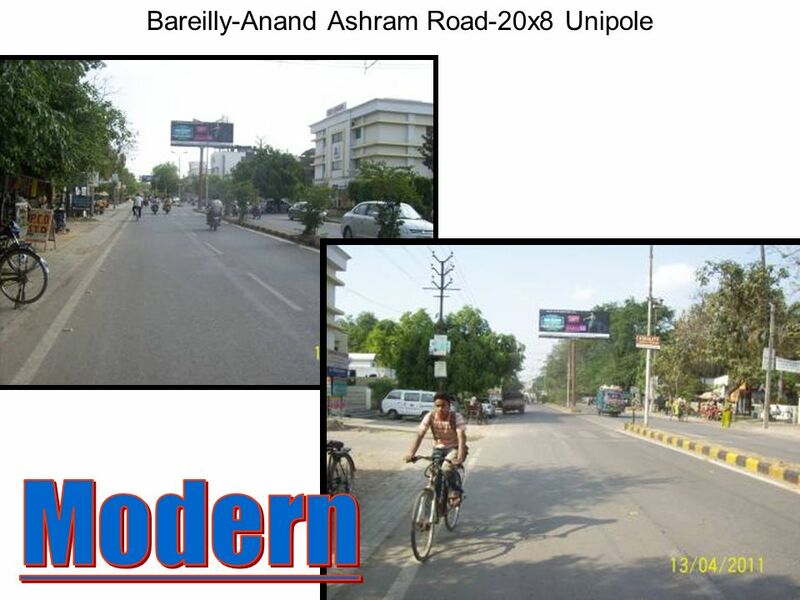 16 Unipole Ekta Nagar 20x10 Both Side @Rs.15000/- per month. 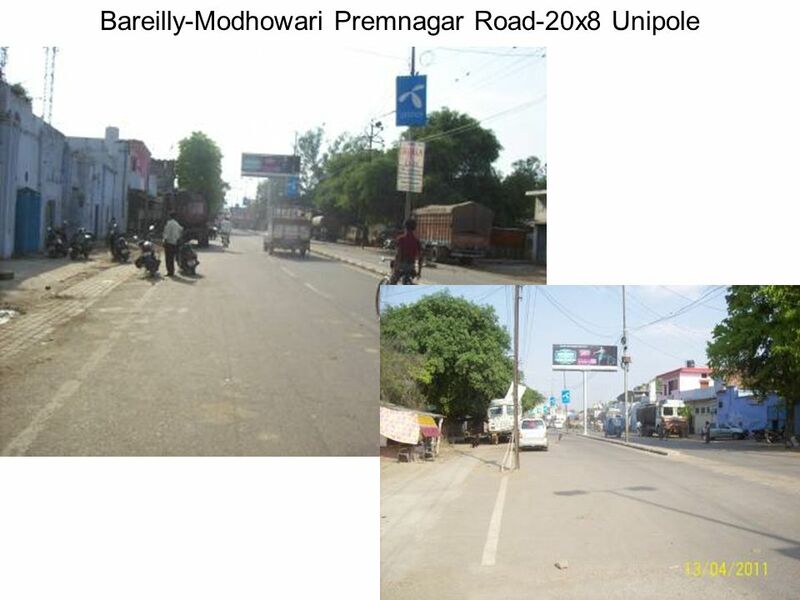 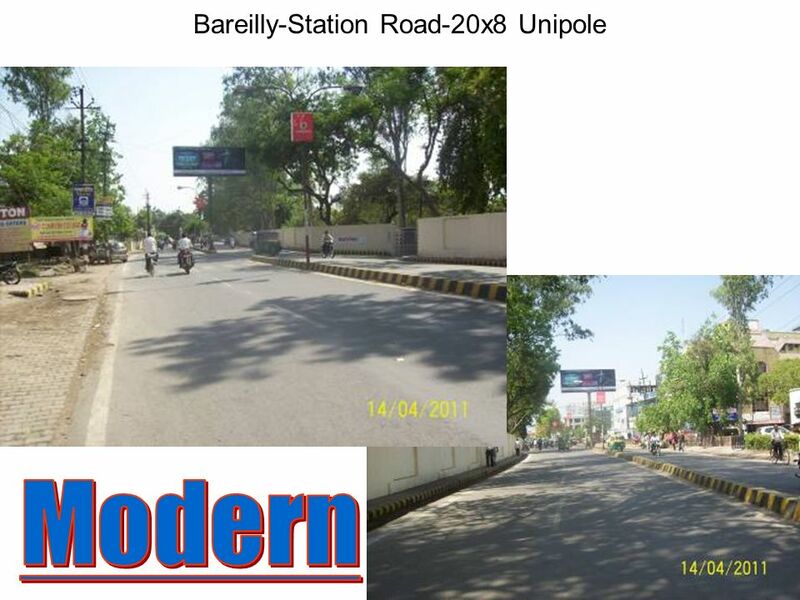 17 Unipole Stadium Road 20x10 Both Side @Rs.15000/-per month. 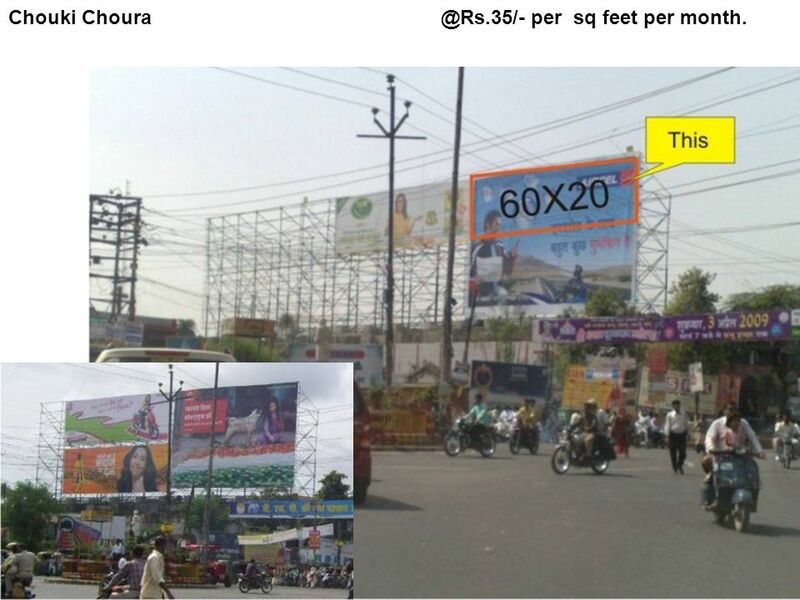 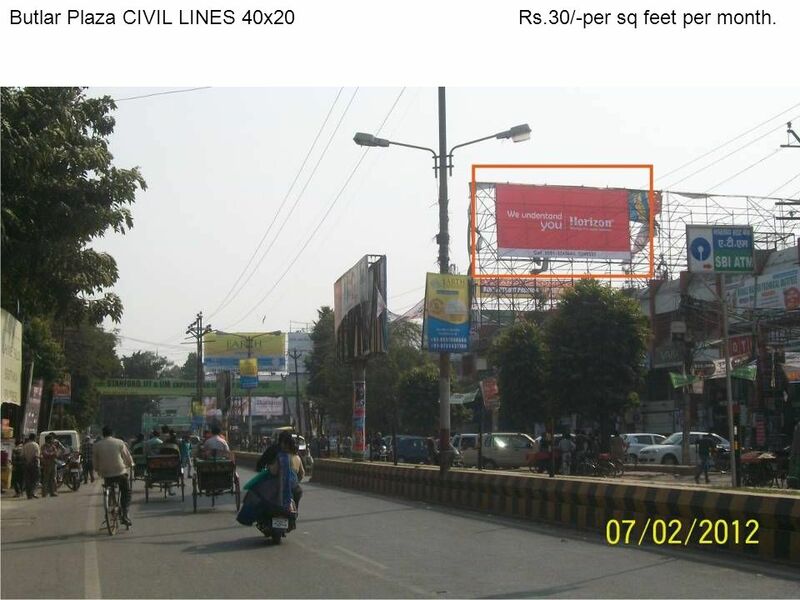 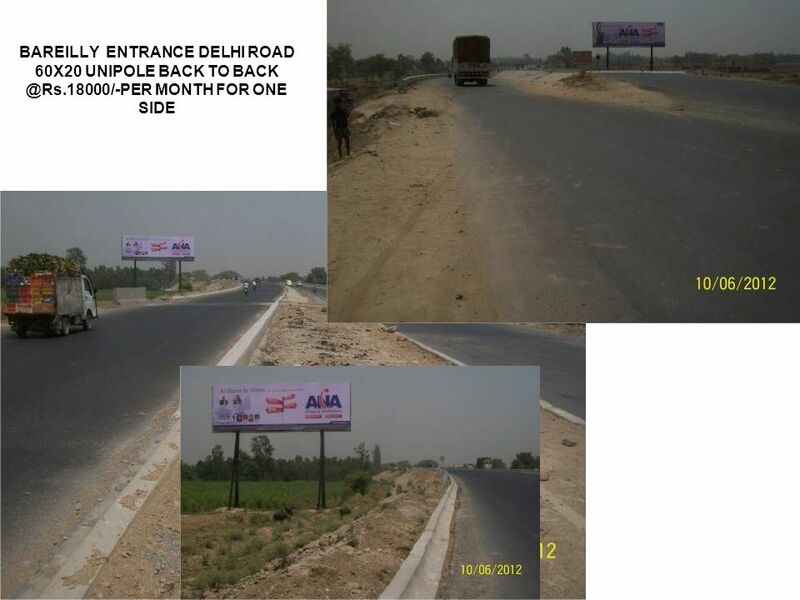 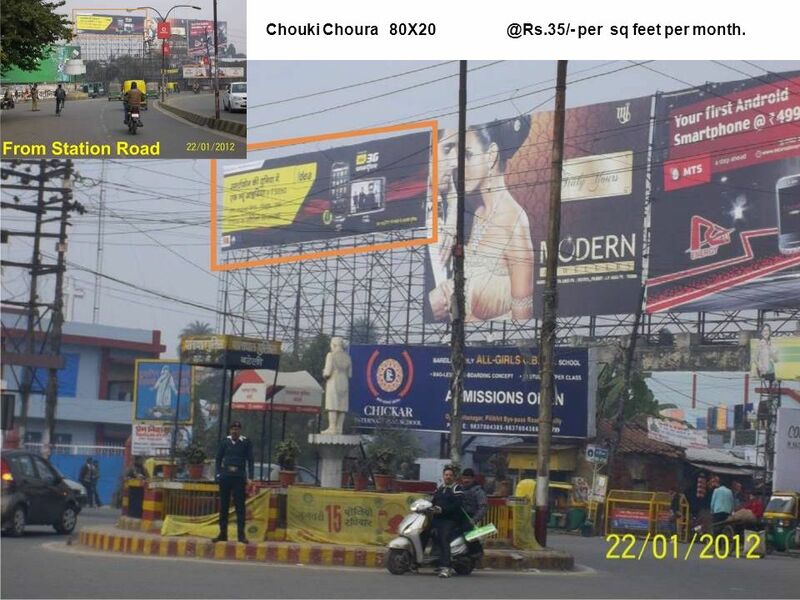 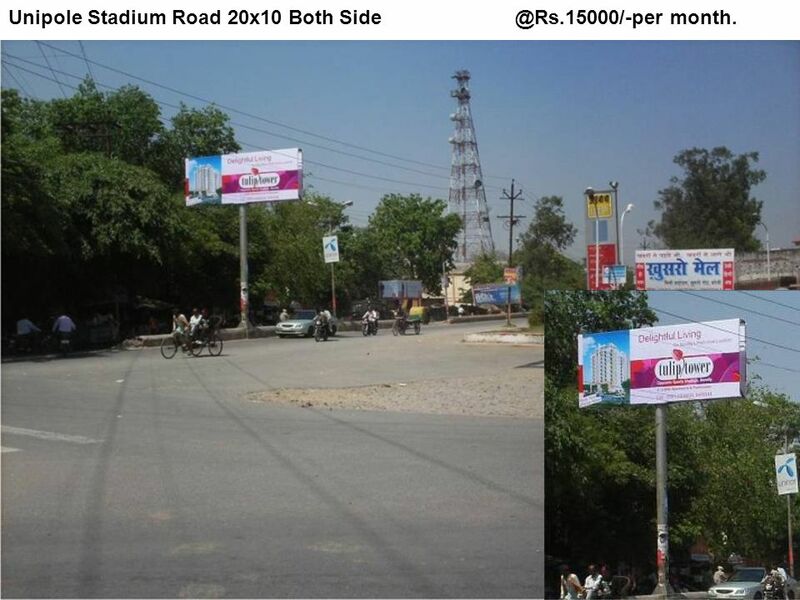 18 Unipole Stadium Road Etpzaya Chok 20x10 B2B @Rs15000/- per month. 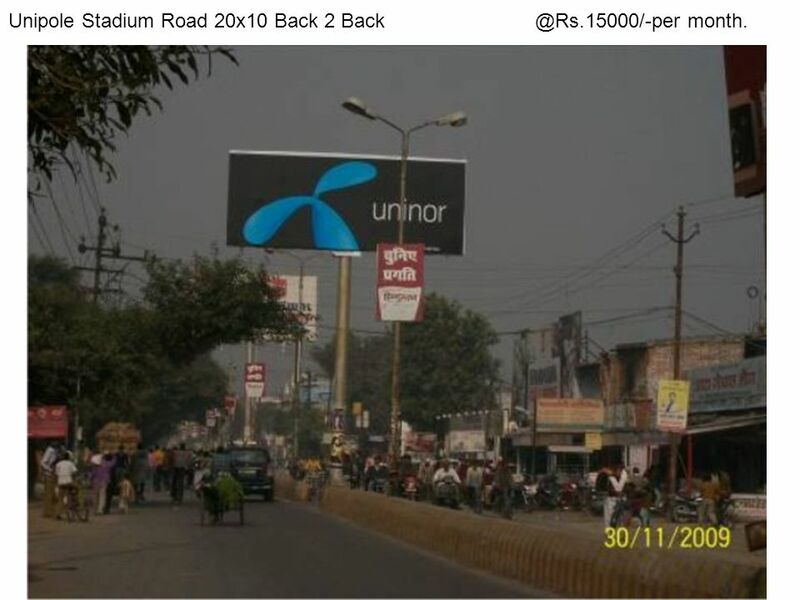 19 Unipole Stadium Road 20x10 Back 2 Back @Rs.15000/-per month. 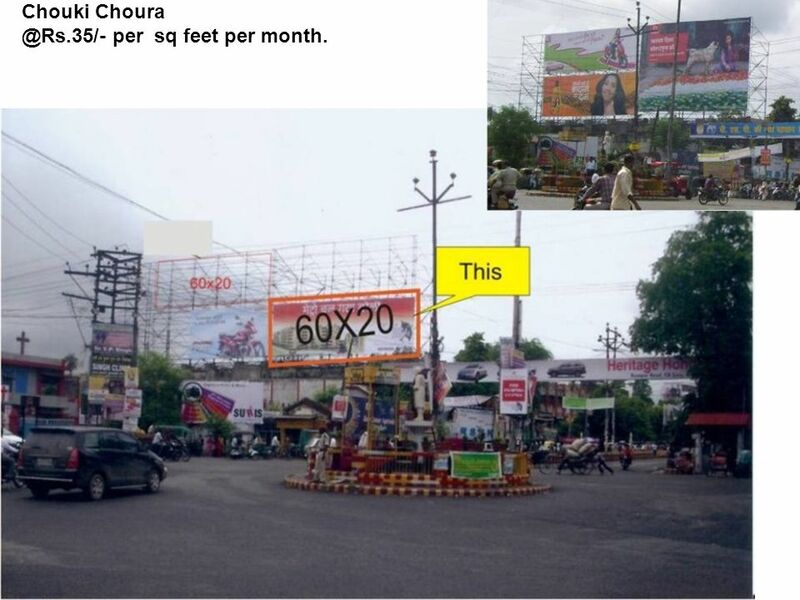 20 Ayub Khan Chouraha 30x20 @Rs.35/-per sq feet per month. 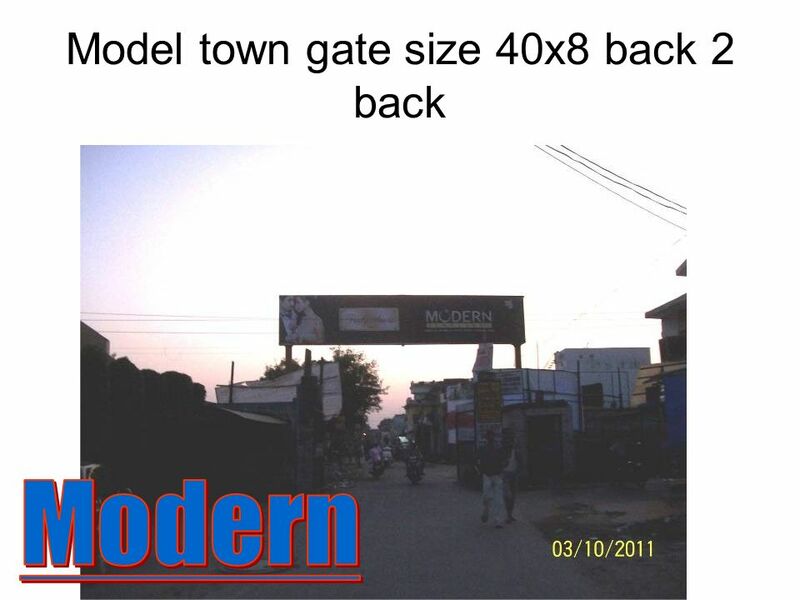 21 Near:. 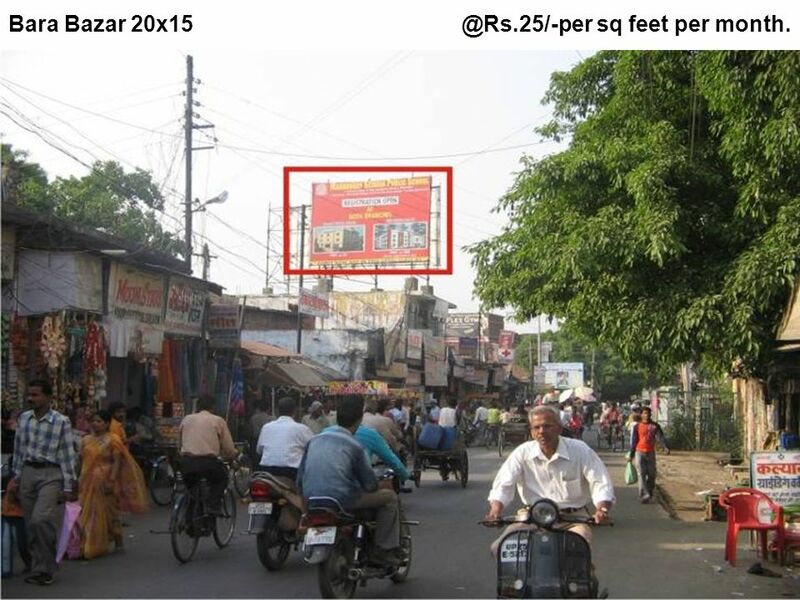 Hind Cinema @Rs.35/- per sq feet per month. 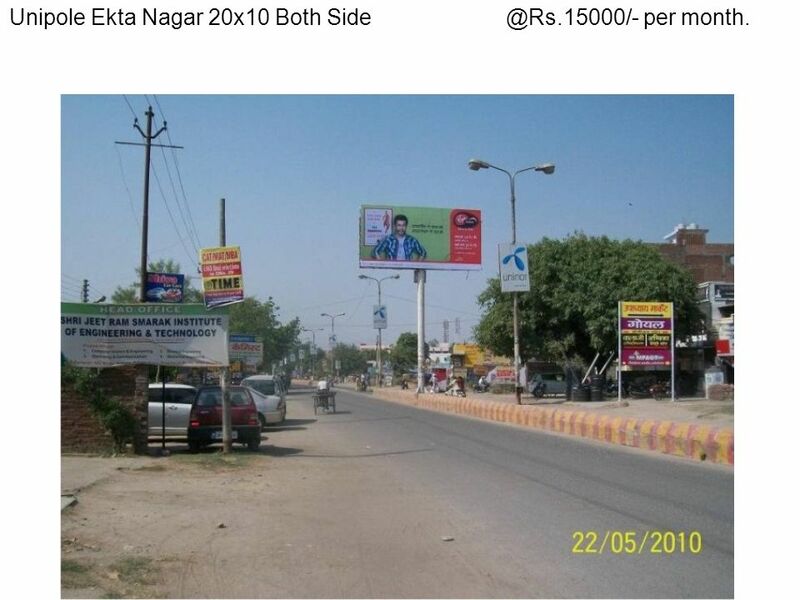 22 Fhatehganj Delhi Road 40x20 F Delhi @Rs.22/-per sq feet per month. 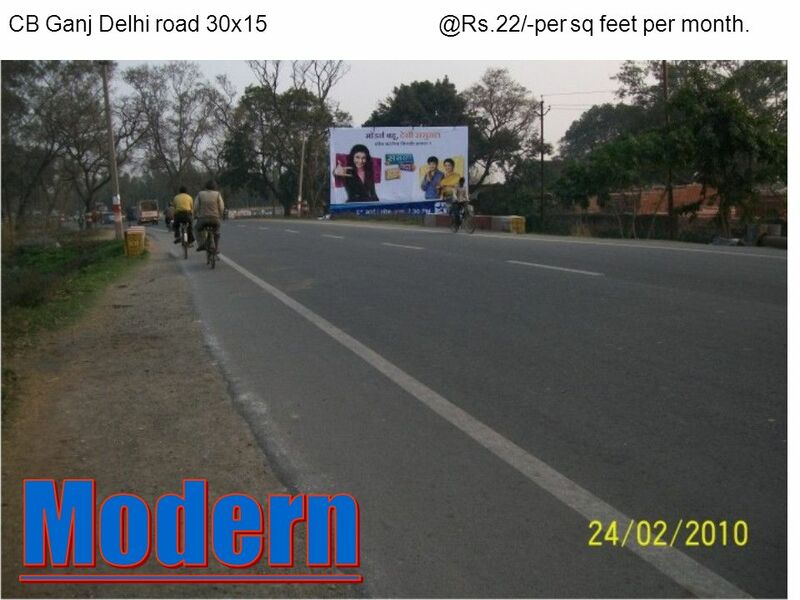 23 CB Ganj Delhi road 30x15 @Rs.22/-per sq feet per month. 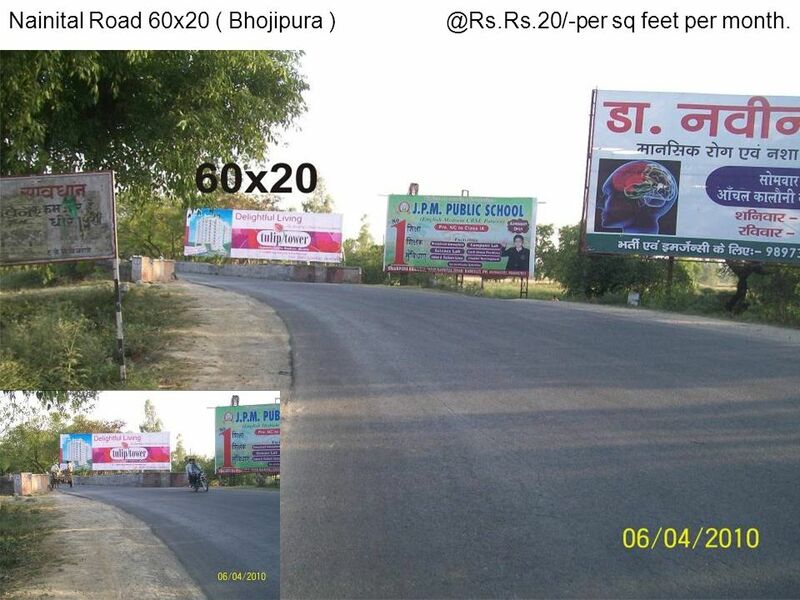 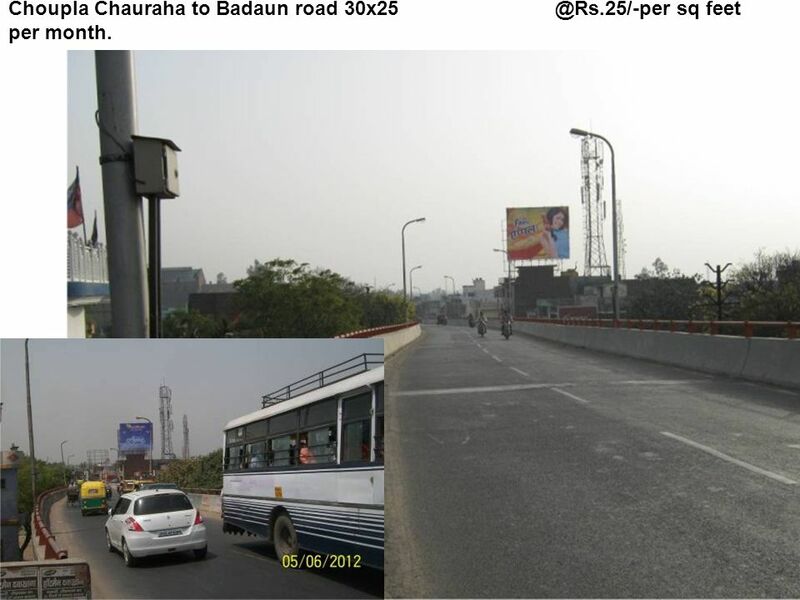 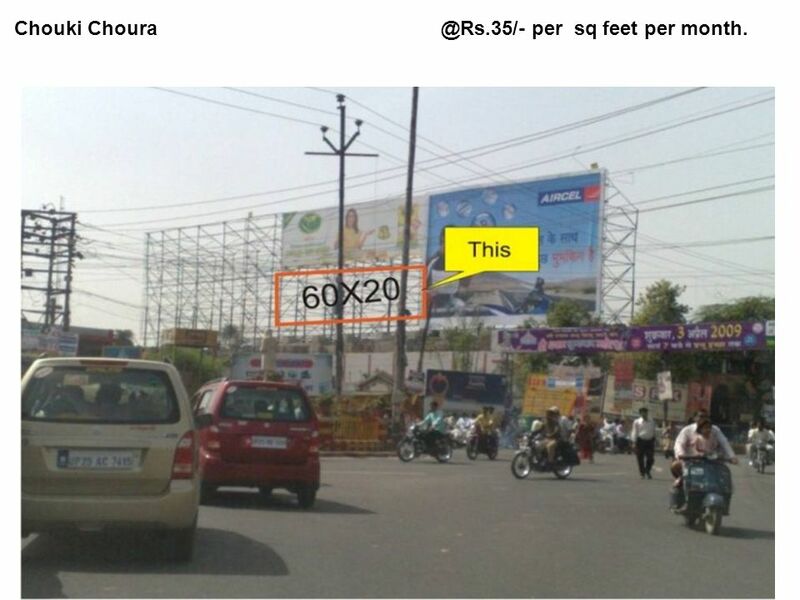 26 Choupla Chauraha to Badaun road 30x25 @Rs.25/-per sq feet per month. 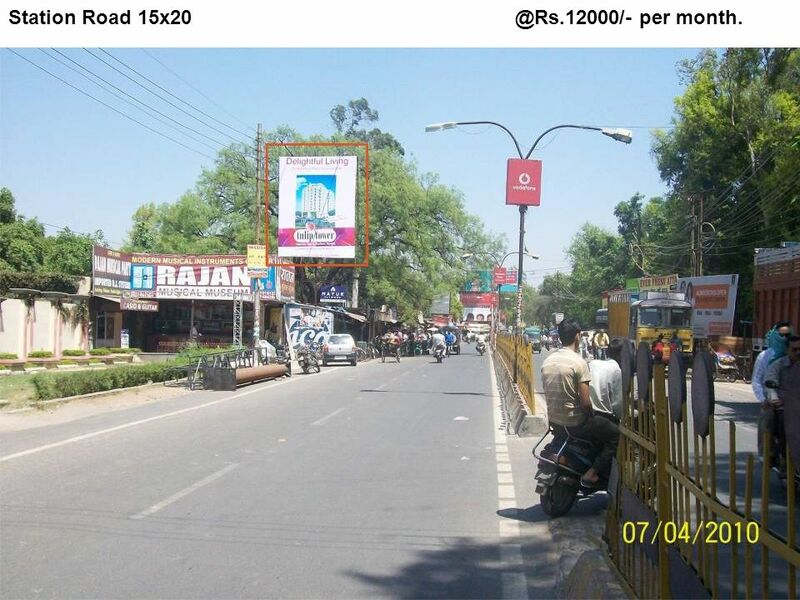 27 Nainital Road 30x20 ( Bhojipura ) @Rs.Rs.20/-per sq feet per month. 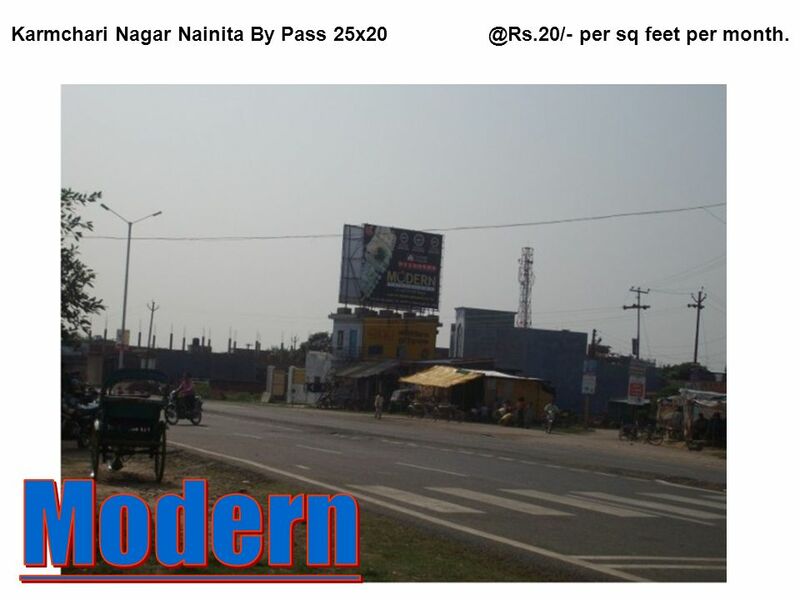 28 Nainital Road 60x20 ( Bhojipura ) @Rs.Rs.20/-per sq feet per month. 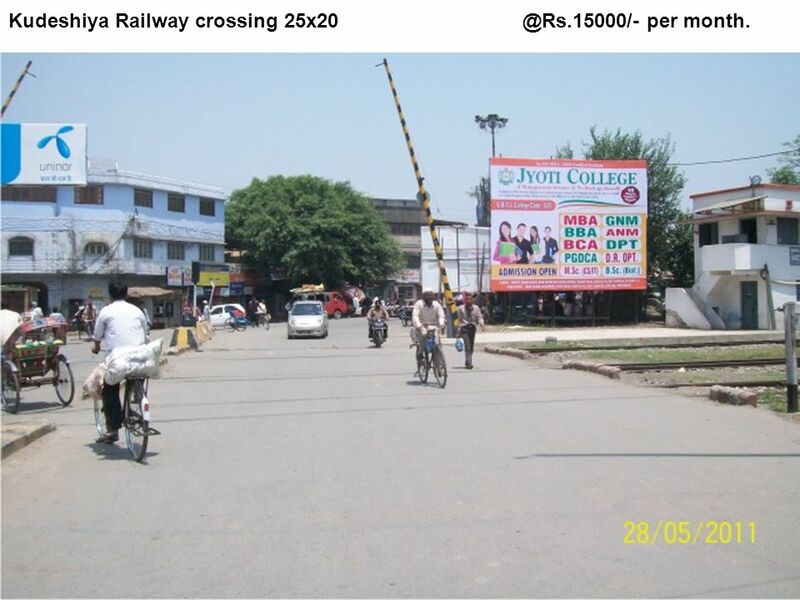 29 Kudeshiya Railway crossing 25x20 @Rs.15000/- per month. 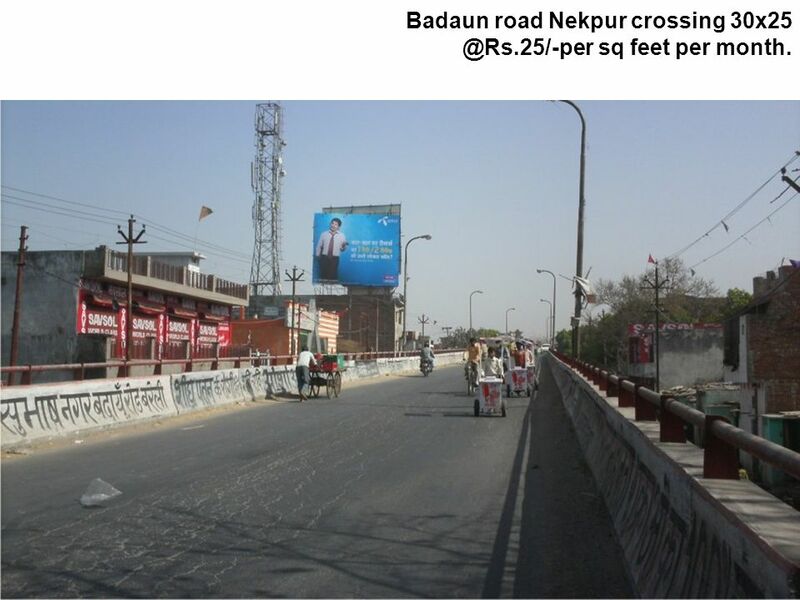 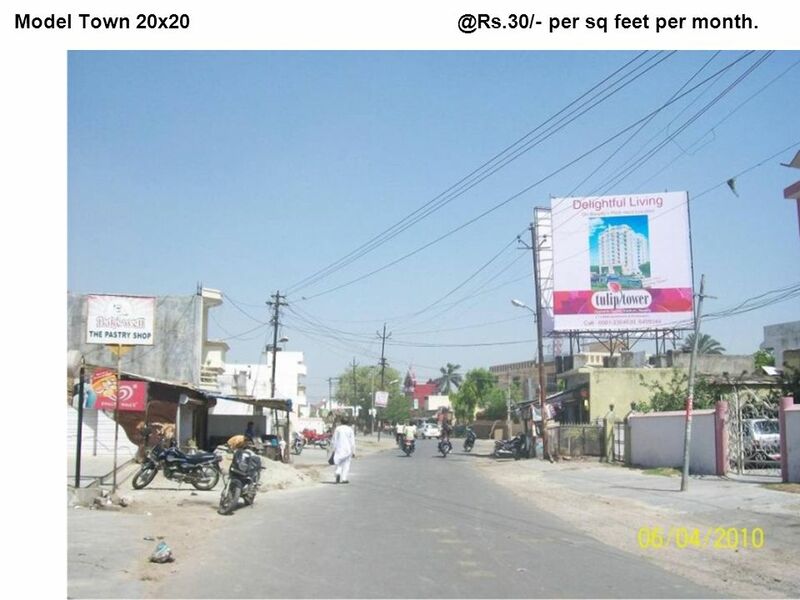 31 Badaun road Nekpur crossing 30x25 @Rs.25/-per sq feet per month. 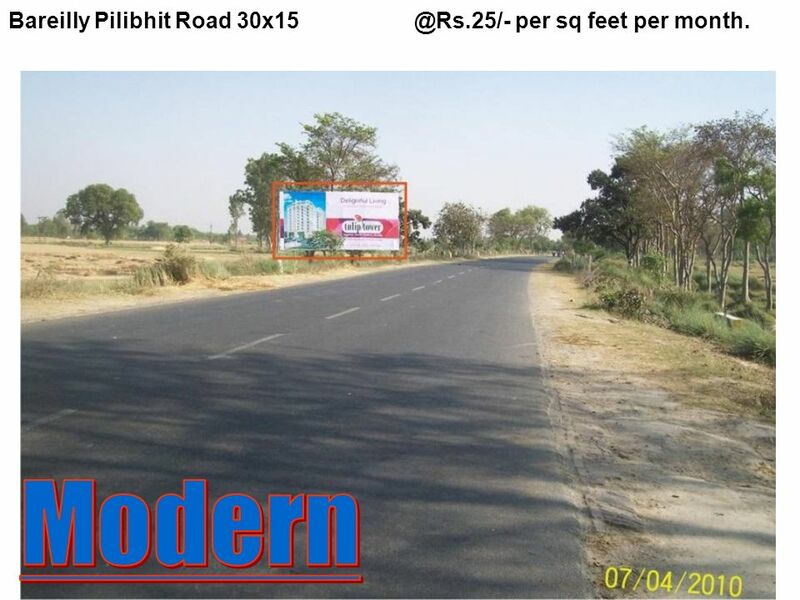 32 Bareilly Pilibhit Road 30x15 @Rs.25/- per sq feet per month. 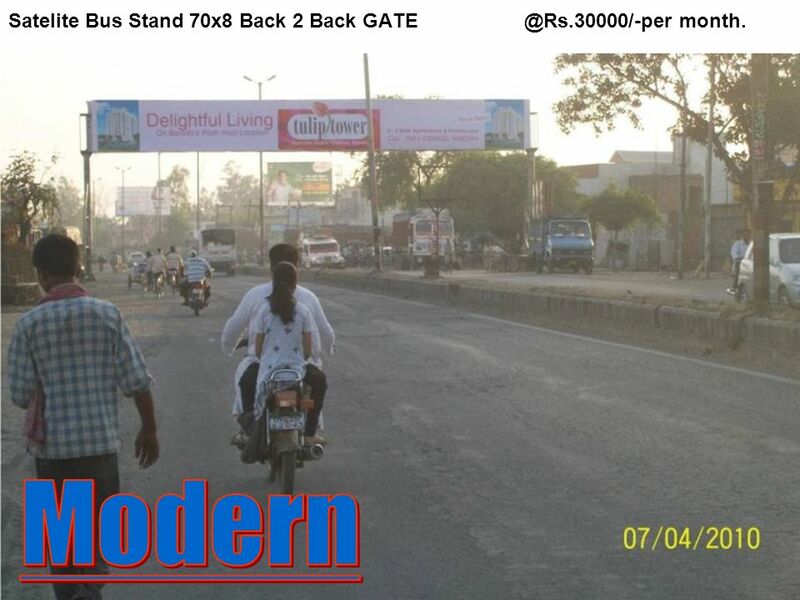 33 Satelite Bus Stand 70x8 Back 2 Back GATE @Rs.30000/-per month. 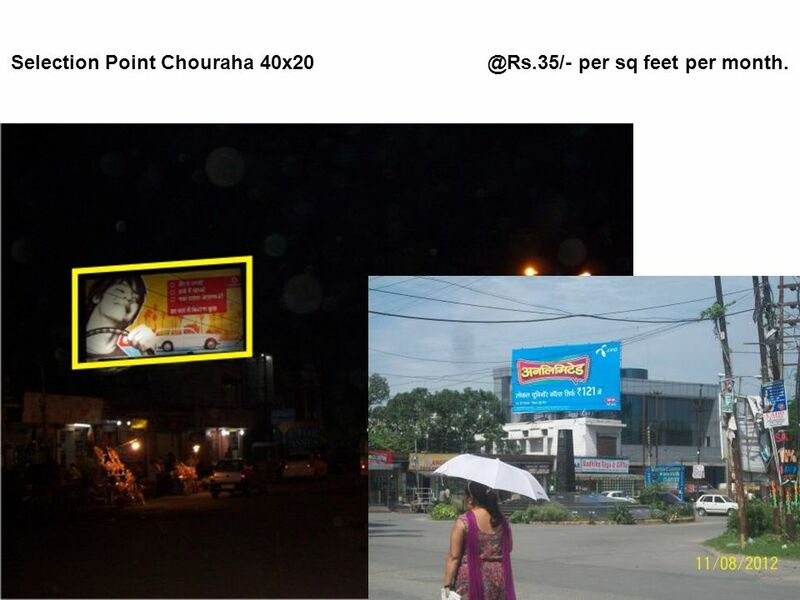 34 Chouki Choura @Rs.35/- per sq feet per month. 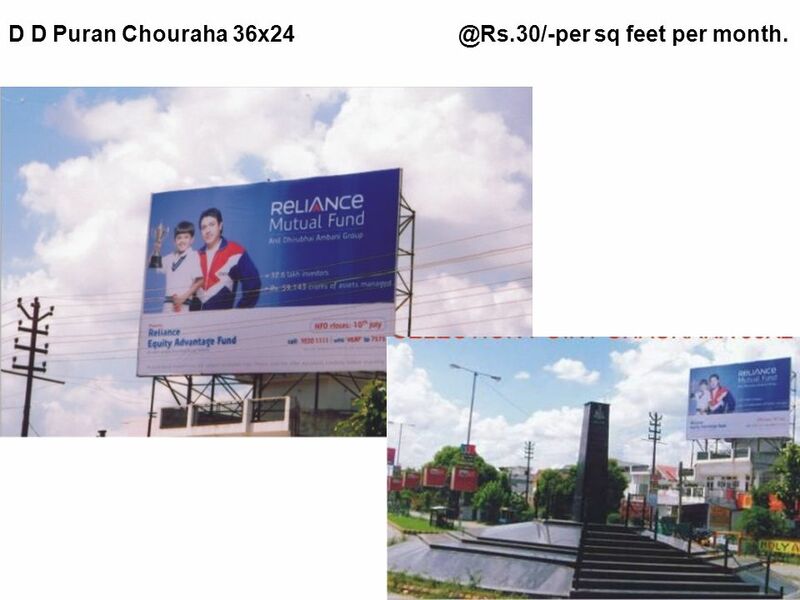 38 Chouki Choura 80X20 @Rs.35/- per sq feet per month. 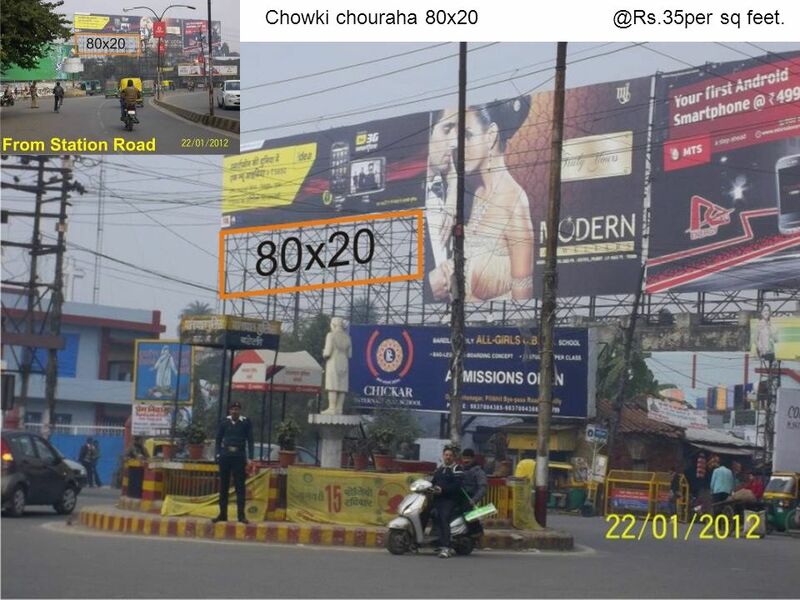 39 Chowki chouraha 80x20 @Rs.35per sq feet. 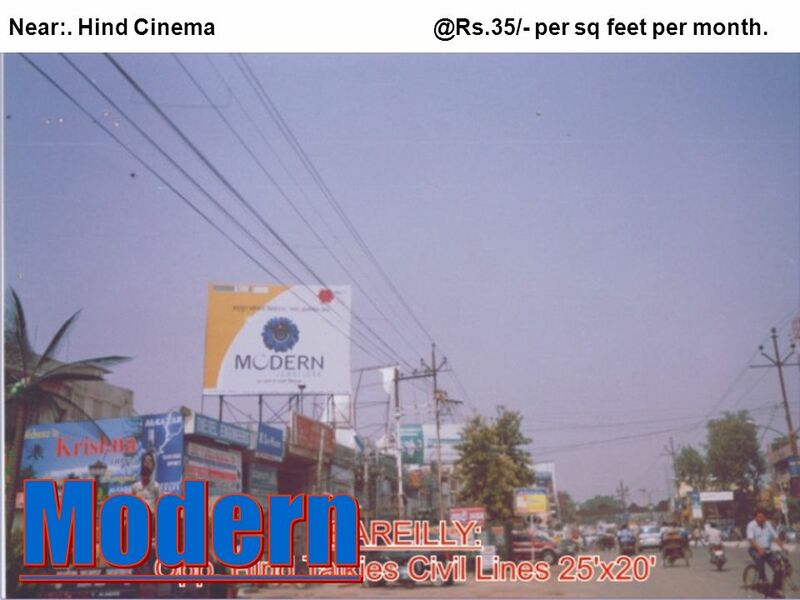 40 Butlar Plaza CIVIL LINES 40x20 Rs.30/-per sq feet per month. 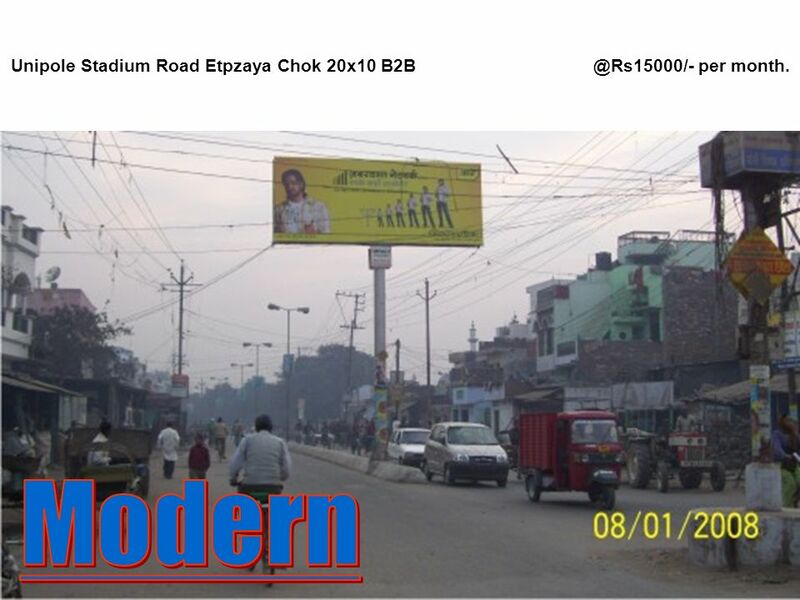 42 Station Road 15x20 @Rs.12000/- per month. 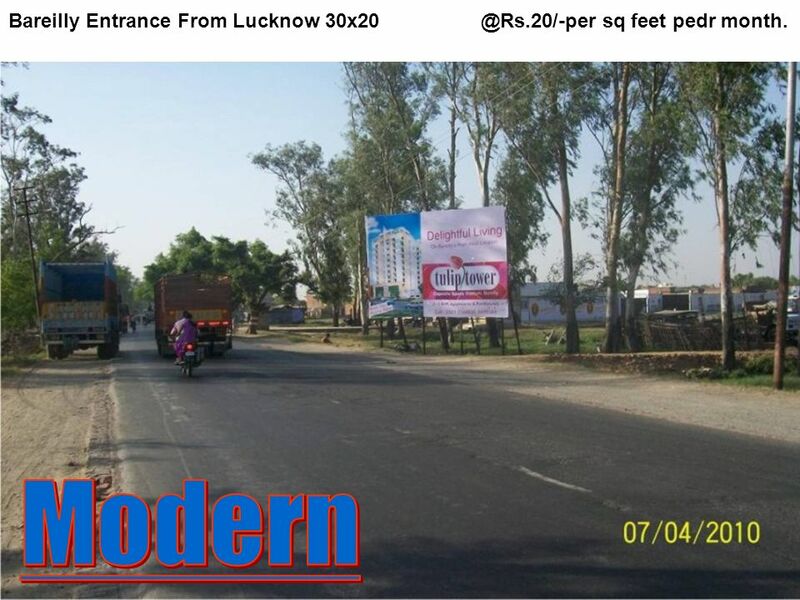 43 Bareilly Entrance From Lucknow 30x20 @Rs.20/-per sq feet pedr month. 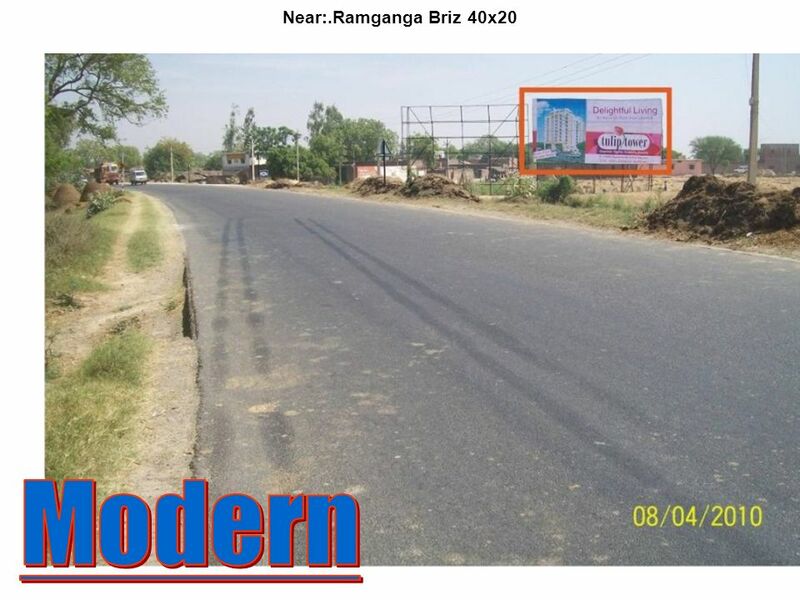 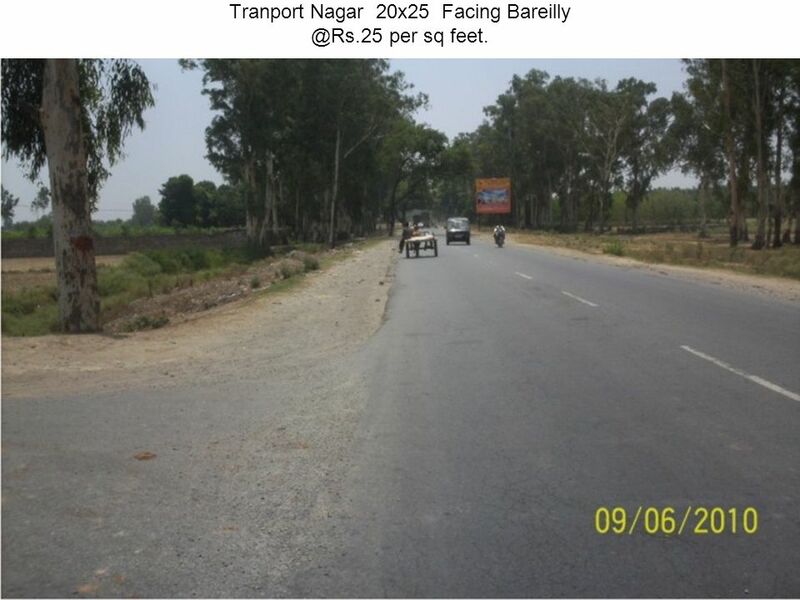 44 Tranport Nagar 20x25 Facing Bareilly @Rs.25 per sq feet. 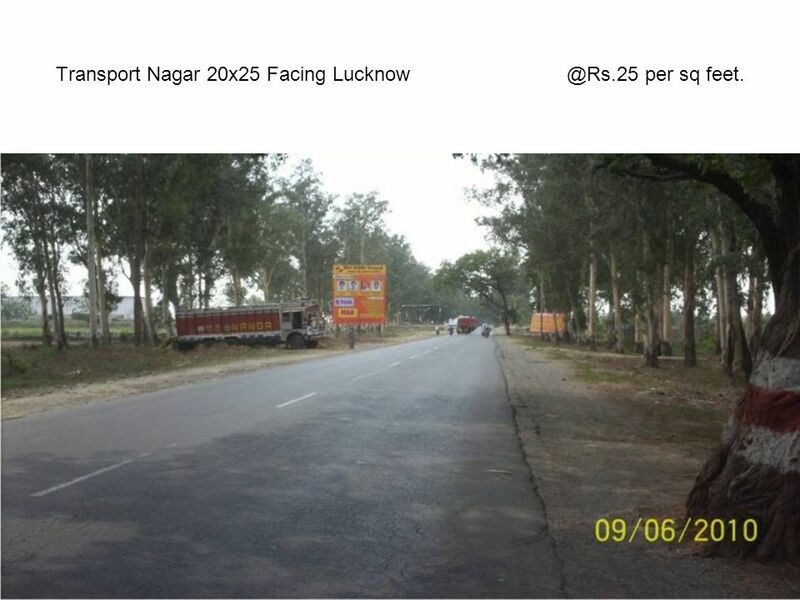 45 Transport Nagar 20x25 Facing Lucknow @Rs.25 per sq feet. 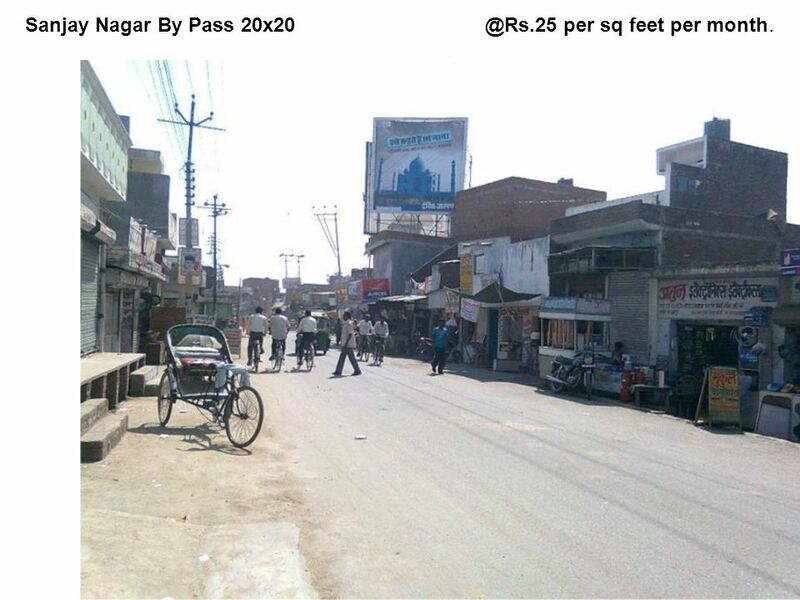 46 Karmchari Nagar Nainita By Pass 25x20 @Rs.20/- per sq feet per month. 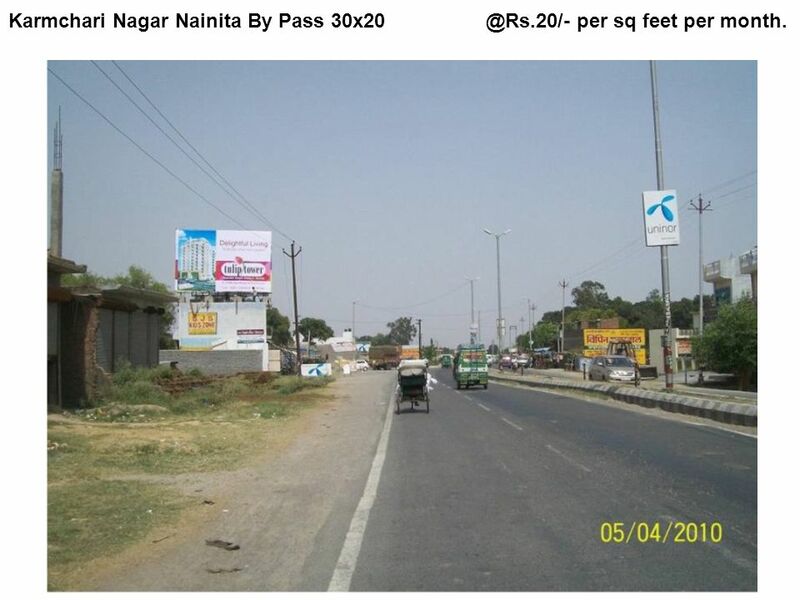 47 Karmchari Nagar Nainita By Pass 30x20 @Rs.20/- per sq feet per month. 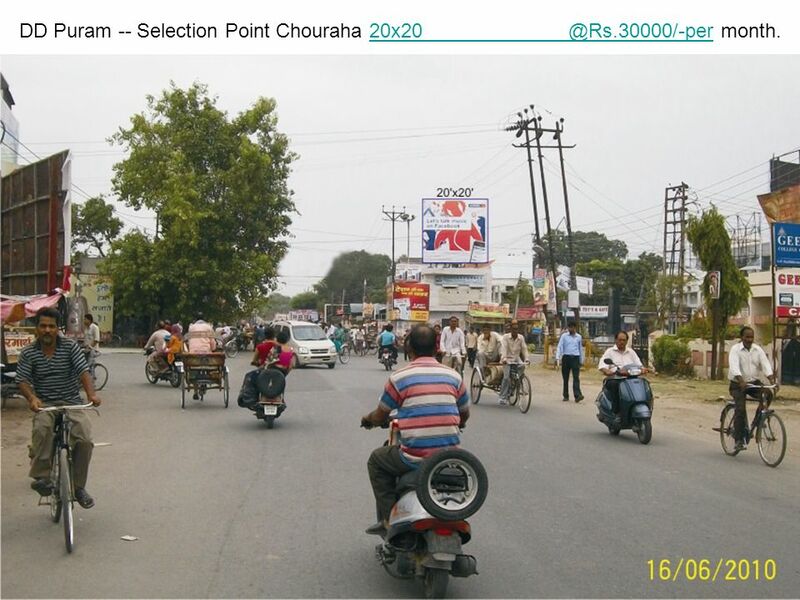 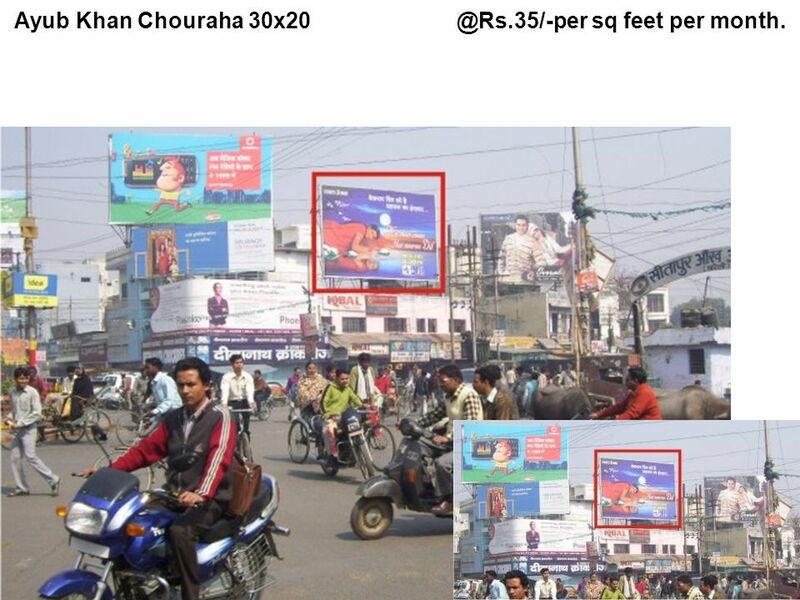 Download ppt "DD Puram -- Selection Point Chouraha"
Outdoor Available Media plan. 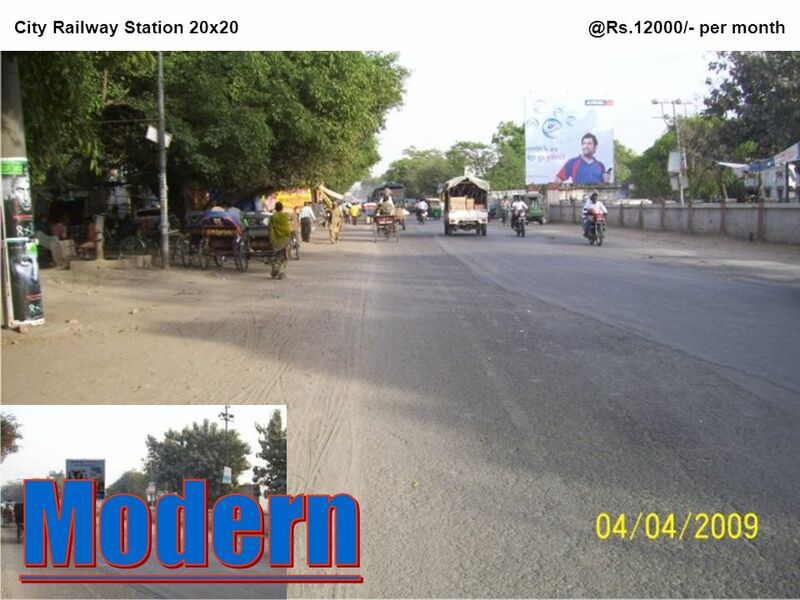 Vadem Slop going to Vasco 22/-+ 4/- mounting - Immediately.